[Stepanova, V.] Death of Tarelkin and Magnanimous Cuckhold. 1922. Smert’ Tarelkina i Velikodushnyi rogonosets. 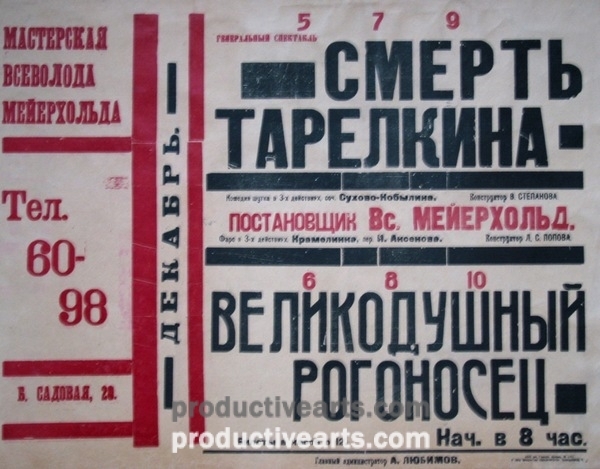 Meyerhold staged these productions with sets and costumes by Varvara Stepanova and Lyubov Popova, titled as “Constructors” per this poster. 1922.